OUTDOOR KITCHENS ARE FAST BECOMING POPULAR SOPHISTICATED DENS FOR THE MODERN DAY CHEF. 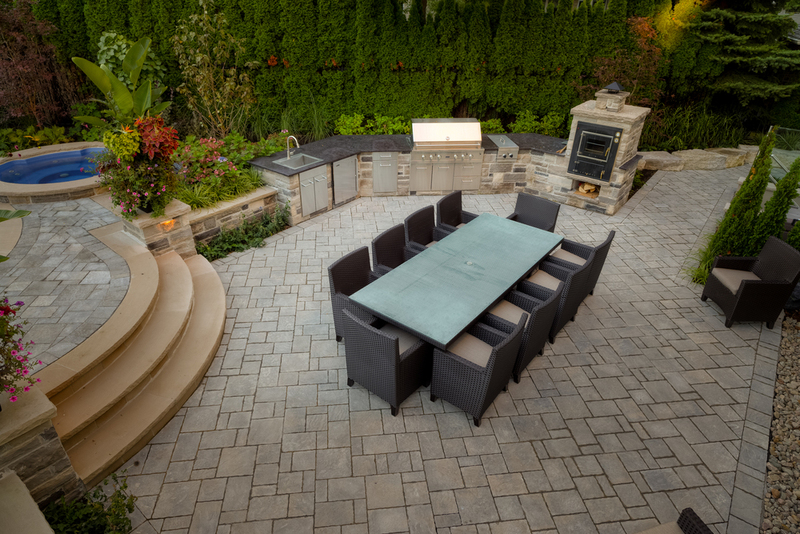 Where garden landscapes, water features and pools were traditionally the focal point of backyards, outdoor kitchens have increasingly pushed backyard aesthetics into exciting dynamic dimensions. In recent years, the development of outdoor kitchens has grown and transformed traditional backyards into a culinary mastery that will make you the envy of the neighborhood. 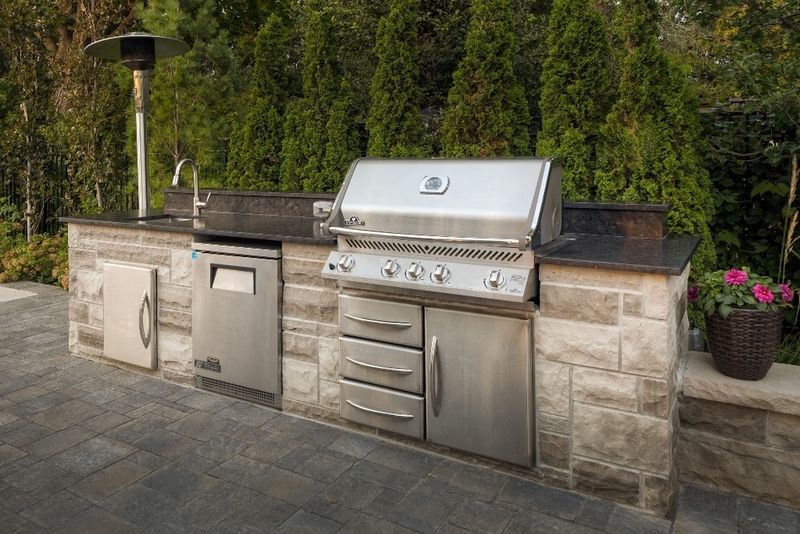 Planning a successful outdoor kitchen takes time and early planning is key. Meeting with Darsan’s landscape designers will ensure your wish list and vision are fulfilled. 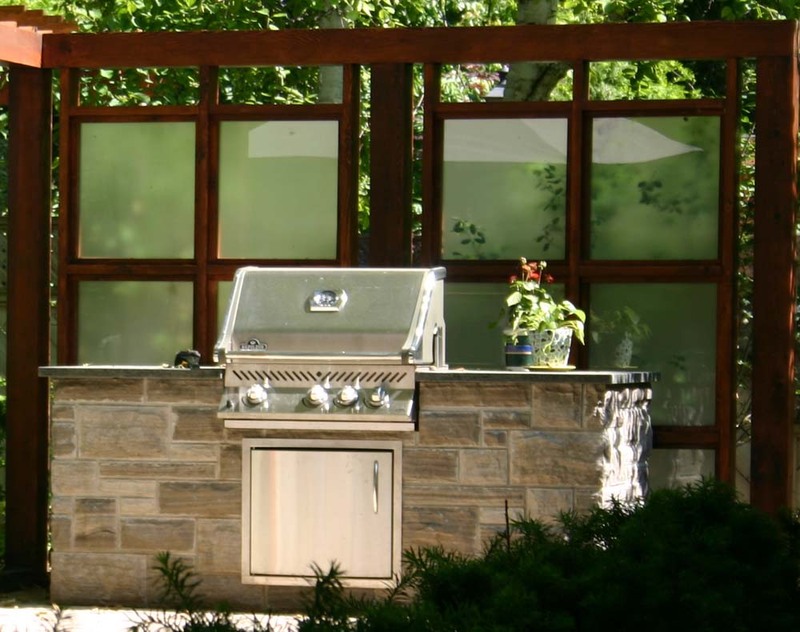 An outdoor kitchen will vary in price and design. 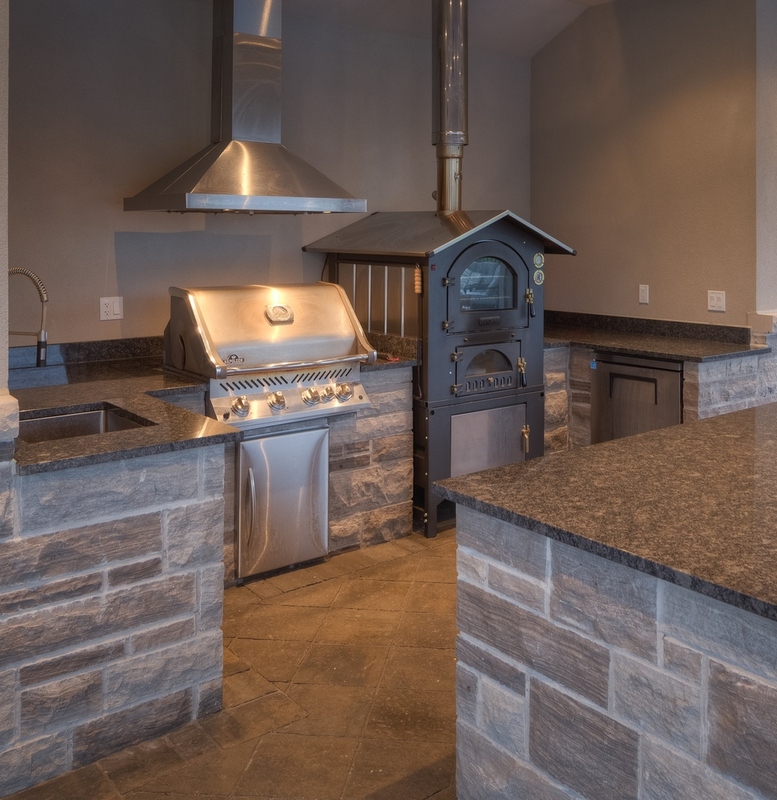 The outdoor cooking and preparation area can be as simple as modifying your barbeque with a custom stone or cedar surround. 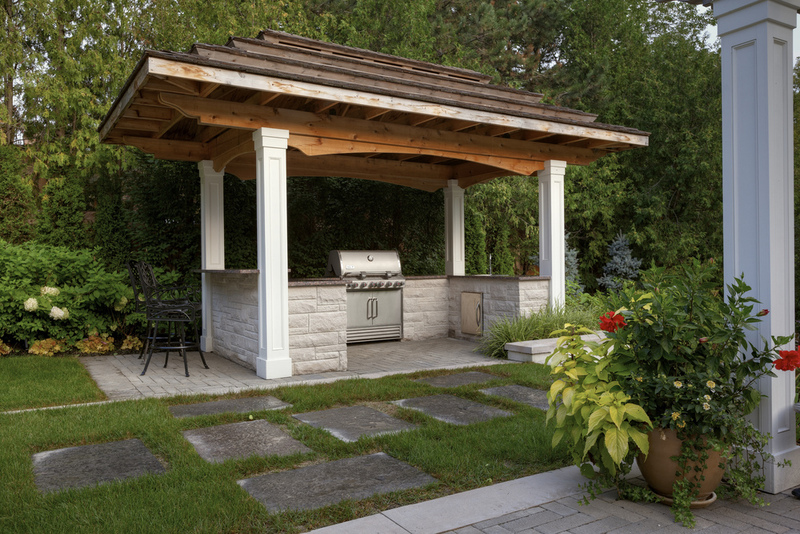 Take your outdoor kitchen to the next level with an elaborate modern design and incorporate a cabana or open sided pavilion for cooking, dining and entertaining. Include features such as stainless steel barbeque, refrigerator, sink, drawers, marble or natural stone counter tops. The possibilities are endless. The time it takes to complete construction really depends on the scope of work.